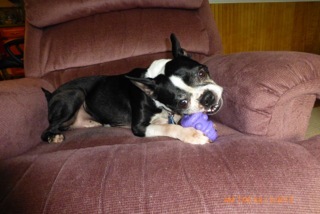 When we took in adorable little Devo the Boston Terrier, we thought it would be easy to place him since he was so cute and funny with the typical Boston clown-like behavior. 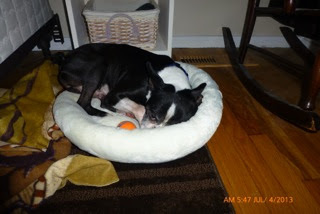 We were sad when he was diagnosed with cardiomyopathy. 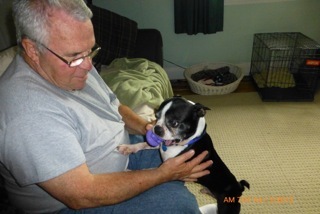 We certainly felt lucky when he caught the eye of a Boston Terrier owner in Maine who just happened to be related to a former volunteer. 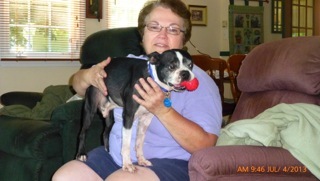 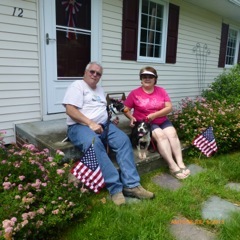 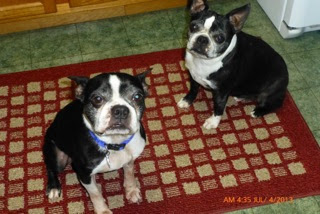 He is now living happily in Maine with his new Boston Terrier sister.